Selling a house can be a windfall or a terrible loss. The price you get for your home when you sell it can vary wildly depending on the way you prepare your home before putting it on the market. Home staging and making important repairs prior to selling can add thousands of dollars to your selling price. 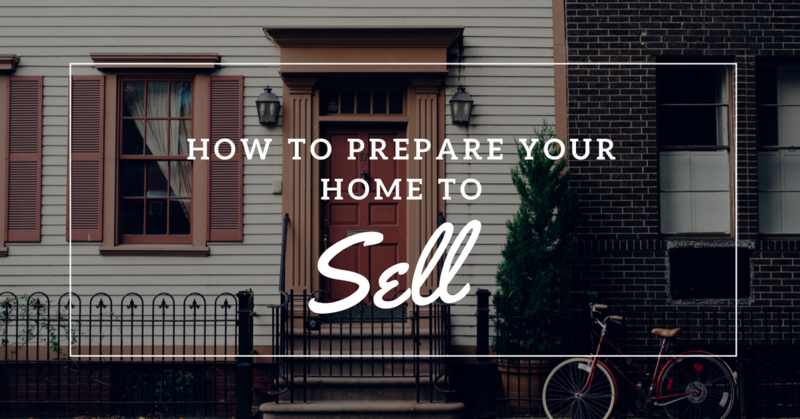 Real estate has its ups and downs, but one thing any seller can bet on is that they will get a higher price for their home if they prepare it strategically to command top dollar. By thinking like a potential buyer, it is easier to imagine what a seller can do to get a better price. Try and see your home with fresh eyes as a buyer as you follow the advice that has put a smile on sellers' faces for decades. Below are some ideas that will help you get started off on the right foot. Think of the nicest hotels you have visited and that will give you an idea about how you want your home to look. It's time to take down all the family photos and knickknacks that tie the home to you and your family. A potential buyers needs to walk inside and imagine it as their new home. That will be easier for them to achieve if the home is spacious and homey without obviously looking like somebody else's home. The best way to view the decluttering process is to consider it as a headstart on your packing. Everything that is personal has to go. Mentally, you have to move on so that you can take your kid's artwork off the refrigerator. A good rule of thumb is to transform your home into a warm inviting lodge-like space where a complete stranger could spend a night without feeling like they were intruding in your home. Making necessary "fixes" can yield enormous profits. Even in cases where potential homebuyers don't notice superficial problems like faulty lights that don't work well or a cracked driveway, then during the inspection phase, all of the secrets will come out. Rather than sully a potential buyer's opinion of your home, possibly causing them to have second thoughts about making an offer, it makes more sense to take care of those repairs upfront. The worst case scenario you face as a seller is to either lose the sale based on a perception that your home is in bad repair or to have to lower your home by an amount that may be more than it would cost for you to take care of that repair. Part of being ready to sell your home is to repair the obvious things that any potential buyer will notice during a routine showing. Some sellers hire an inspector to point out what they need to fix. While this might sound overzealous, it is not a bad idea. Since image is everything when it is time to sell your home for top price, spending money wisely before the first buyer arrives could pay big dividends. There is a reason home staging is viewed as an essential part of getting "top dollar" for a home. There are few purchases as emotional as buying a new home for your family, where you will spend your life and make new memories to be cherished for a lifetime. Much like furniture showrooms, a well-staged home taps into a buyer's emotions and ultimately makes them willing to pay for what they want. If you have the extra money and aren't sure what to do, hiring a staging professional will make the task much easier. They can transform your home into a dream home in days, not only recouping the staging expense, but getting a higher price too. Even though a home is a large investment, it is so much more than that to the buyer. This is where their family will live. Staging isn't complicated and can be handled by the seller if they are willing to follow a few simple guidelines. Turning your home into a showroom is about making it look its most inviting. A first step is to get rid of a lot of the furniture. It makes sense to get a storage unit if you need one. You don't want people tripping over furniture in your house when they walk through it. Most families need to store about 50 percent of their furniture to showcase the home properly and make it look bigger. Lighting is a big factor to be considered as you stage your home. The house needs to appear warm and cheerful. A rule of thumb shared by HGTV is to set a goal of having 100 watts of light for every 50 square feet of living space. Dark rooms are a "No No" when you are selling a house. Choosing the right color of paint can make a room look bigger too. There are certain tricks that can be used to make a home appear much larger. Any time you paint a room the same color of paint as the room next to it, it looks bigger. Real estate sales is full of smoke and mirrors tactics designed to make buyers see the home in its best light. Choosing neutral colors is always recommended. While trendy colors like red dining room walls might be an exciting choice as a homeowner interested in making a room pop, neutral colors rule the day when you are selling your home and trying to make it pleasing to as many people as possible. No one wants to paint as soon as they move in. It is important to remember that curb appeal may determine whether a potential buyer even decides to go inside. Drive bys are common where buyers wave off the realtor with one quick glance. Keeping the lawn maintained is critical. Planting a few flowers for some extra color is always a good idea. Trim the bushes and cut the grass. Try standing at the front door to decide if you would want to go inside if you were the buyer. Is the welcome mat out and is the yard debris free? Put your decorator hat on and add some homey touches. Are there cheerful plants at the front door? Selling a home is serious business. With so much money at stake, you have to be sure and consider the details. Cleaning and staging your home will add thousands to the price.